“God Gave Me You” must be the theme for the tale of two soul mates who both hailed from southern Cebu and whose paths crossed far out in the midst of the metropolis. Firmo Payusan, now an intercontinental mariner from bucolic Mantalungon-Dalaguete, lost his heart to my first-degree cousin Janice Allera, a native of coastal Gawahon-Malabuyoc, the first time he saw her in Manila. Both were attending the same college, Technological Institute of the Philippines. They met at the library, where Janice was working as student assistant, and the Maritime Engineering student asked the Computer Science-Programming major if she’s from Cebu, since he heard her talking in the vernacular. The rest is history. I must be a frustrated photographer, stylist, and bride (too!) that while doing my cousin Janice Allera’s hair and makeup, I made sure my digital camera’s batteries were being recharged next to my blow-dryer, since I’d volunteered to help in capturing the bride and groom’s most significant moments during their wedding on March 23, 2013 in Malabuyoc, Cebu. The non-conformist me found my way to the famous Aizilym Enterprises in Carbon, where I spent only a few pesos on an elegant hat, a pair of earrings, and a necklace. Pardon me for not having attended quite a number of weddings, but I’ve never seen a bride in the Philippines who’s wearing a hat. And I don’t care whether or not it’s appropriate, so long as my cousin was not wearing a swimsuit before the altar, or lingerie in front of her and the groom’s folks at the reception. Anyhow, I hope I fared pretty well with my photos. 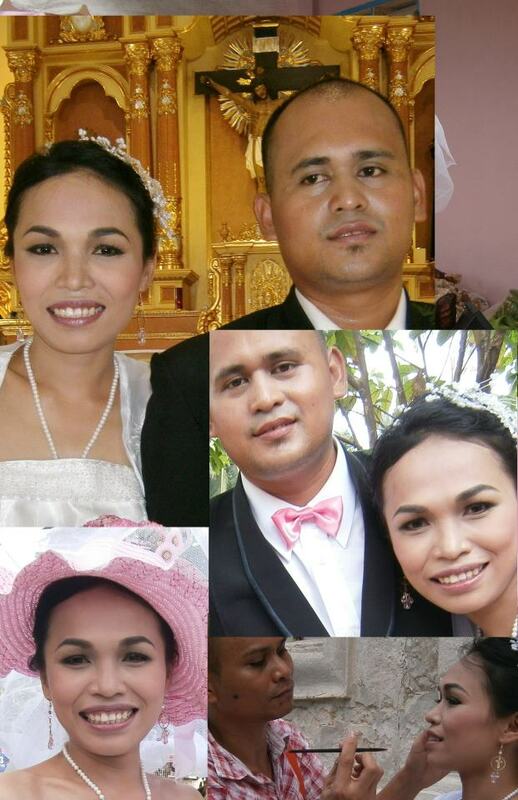 Those who have seen Janice Allera and Firmo Payusan together will maintain that both are a perfect couple, period. We’ve seen a husband who’s too good to be a significant other, or a wife too forgiving to her sinful husband. 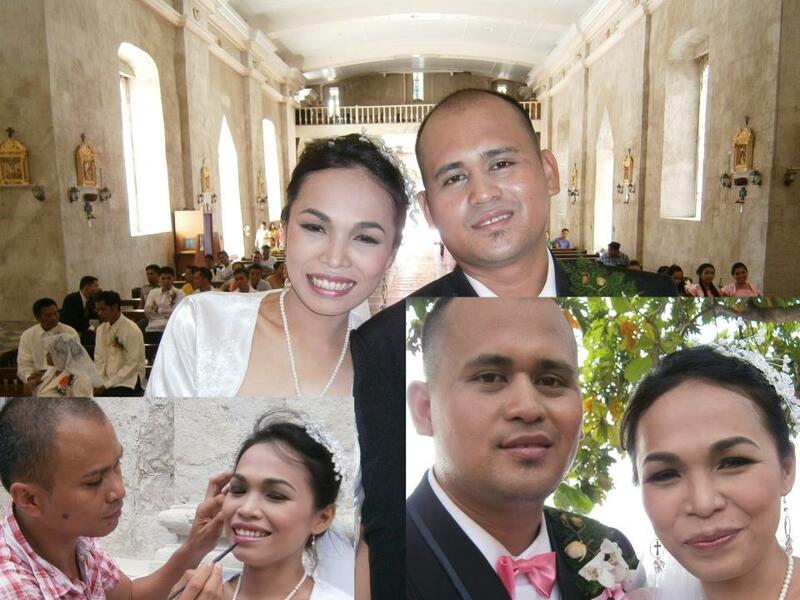 Where these imperfections shake several relationships here and there, Janice and Firmo have stood the test of times, after virtually seven years of going on the way to their memorable wedding day in Malabuyoc, Cebu last March 23, 2013. Despite the no-one-is-perfect cliche, I’d like to say that there’s nothing else I see in the couple . . . but perfection. 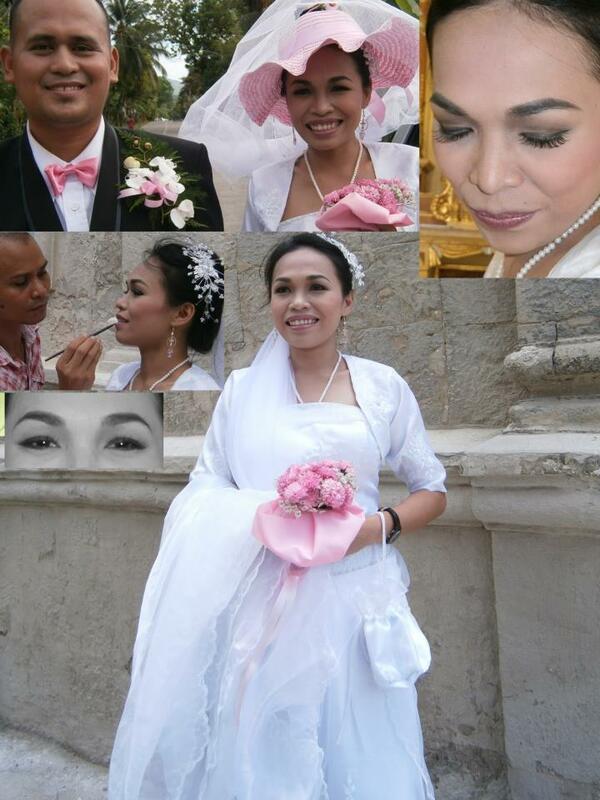 It was an honor to be the makeup artist of my cousin Janice’s most significant day in her life.